Who among hasn’t, at one point or another, referred to his or her laptop as a brick—lovingly, of course. 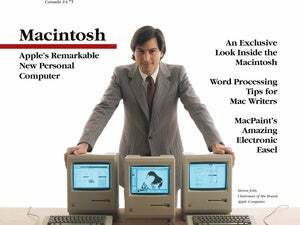 Unless you’re referring to the original Macintosh Portable which, at 15.8 pounds, came with a free case of back sprain. But that’s still not an actual brick—or, at least, not like the one this customer got. A fellow named Kyle reported to the Consumerist blog that he had bought a $2,000 MacBook Pro from his local Best Buy in Texas, only to take the box home, open it up, and find one (1) real, genuine, 100 percent authentic paving stone. Fortunately, the brick was lovingly cushioned in bubble wrap to prevent damage. Naturally, Kyle took box and brick back to Best Buy to demand a refund, where the Best Buy manager pointed the finger at Apple, saying that the retail chain got the boxes already sealed from the computer company. This isn’t—amazingly—the first time something like this has happened. In the past, customers have gotten rocks and other similarly weighty placeholders in lieu of purchases such as a Nintendo DS. We wish Kyle the best in speedily resolving his problem, and hope that Apple will come through where Best Buy did not. At least let him keep the brick, though—maybe he could use it for his front walk.